Founded in 1974, Accuturn drew its name from the emphasis that our company places on accuracy which is the most important feature in the custom turning of Swiss screw machine products. 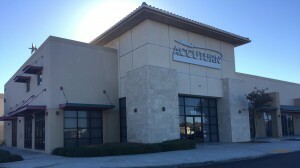 Located in Riverside, California, in a state-of-the art brand new facility, Accuturn Corporation has been meeting customer needs for over 40 years. We are a leader in Swiss machining in the southwestern United States, with a diverse customer base featuring many of the leaders in the electronics, automotive, instrumentation, medical, hydraulic, appliance and dental industries. We have operated with the same management throughout our existence and our newest employee has been with us for over 15 years. We are an established and stable company, have efficiently had positive earnings and growth over the last 35 years and are ready to move up to the next level. We became registered and certified AS-9100 including ISO-9002 in 2007 which allowed our system to improve by stressing document control, product identification and internal audits. We subscribe to the Made in America Motto. We purchase our raw materials from domestic mills that are DFAR’s, ROHS and REACH compliant and certifications are included in every shipment. Our commitment to offer our customers timely and competitively priced machined parts have given Accuturn Corporation the ranking as the 9th largest Aerospace and Military Contractor in the Inland Empire. 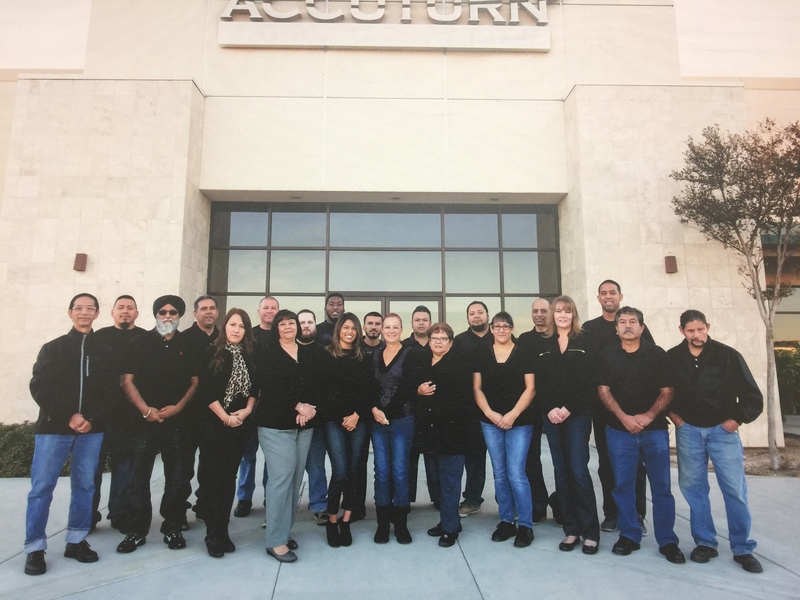 Accuturn Corporation is certified with AS-9001.Our manufacturing methods have built in controls to ensure the highest quality precision screw machine products.